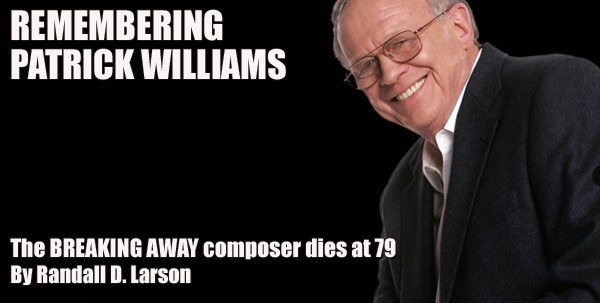 Composer Patrick Williams passed away early this morning of complications from cancer. He was 79. 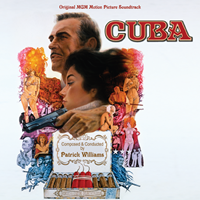 Williams served as a versatile and innovative film composer, arranger, and conductor for popular music, concert, film, and television for more than thirty years. 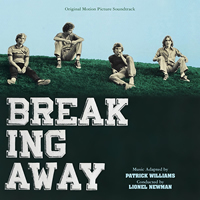 He worked in many genres and won four Emmy Awards (out of 22 nominations), two Grammys for his jazz arrangements, an Oscar nomination for film composition (best music, original song score, and best adaptation score for 1979’s BREAKING AWAY), and a Cable ACE award (plus two nominations). He was nominated for the Pulitzer Prize for composing the orchestral work An American Concerto in 1977, and he was awarded the Richard Kirk Achievement Award from BMI in 1997. He has more than 200 film and TV credits listed on IMDB. His film scores tended toward comedies and comedy-dramas, and his scores were tuneful, memorable, and quite affecting. 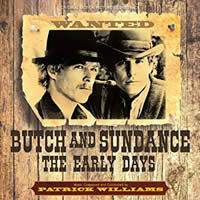 Among them: Richard Lester’s BUTCH & SUNDANCE: THE EARLY DAYS (1979), Robert Zemeckis' USED CARS (1980), CHARLIE CHAN AND THE CURSE OF THE DRAGON QUEEN (1981), Michael Pressman’s SOME KIND OF HERO (1982), Richard Donner’s THE TOY (1982), Jonathan Demme’s SWING SHIFT (1984), several films for Carl Reiner, and the like. His TV-movie scores tended to offer a wider variety of genres – Westerns (HARDCASE, 1972), psychological thrillers (THE FAILING OF RAYMOND, 1971), and docudramas (RUBY RIDGE AN AMERICAN TRAGEDY, 1996; THE PERFECT HUSBAND: THE LACI PETERSON STORY, 2004). But it was in episodic television that Williams was most active, and arguably made the most significant impression in media music. 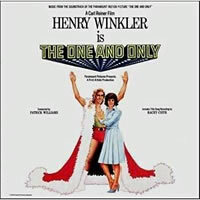 He composed episodes of LOU GRANT, COLUMBO, THE STREETS OF SAN FRANCISCO (including its theme), THE BOB NEWHART SHOW, THE MARY TYLER MOORE SHOW, and much more. He was one of the few composers who filled in on THE SIMPSONS in the transition between Richard Gibbs (Season 1) and Alf Clausen (Season 2), scoring Season 2’s second episode, “Simpson and Delilah.” Williams’ last music for film and television was for NBC’s 2-episode 2005 miniseries, HERCULES. Williams was very active in various musical endeavors outside of film and TV. After completing his music studies at Columbia University, he found work as an arranger in New York; in 1968 he moved to California and found work in films and TV while he kept writing and arranging jazz records. Throughout his media music career he continued to write numerous works for the concert hall, including the aforementioned An American Concerto, which was one of the first successful attempts to combine jazz elements with traditional symphonic writing. 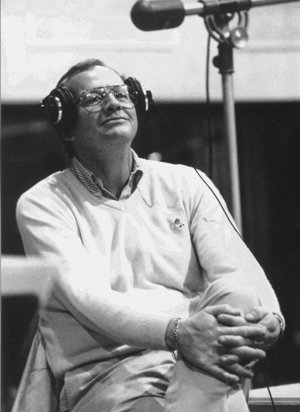 He was also a recognized educator in the music field, sharing his talent and experience as Artistic Director of the acclaimed Henry Mancini Institute and serving as a visiting professor and Composer-in-Residence at the University of Colorado and University of Utah, while lecturing frequently at institutes of higher learning throughout the US. May his legacy sustain his memory, and his works serve as a tribute to a generous career in the service and perpetuation of music. 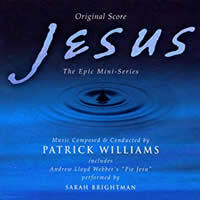 I had the pleasure of interviewing Patrick a couple of times, first for Soundtrack magazine in 2000, asking about his then-recent scores, the 1999 mini-series JESUS, and the TV-movie biopic, THE THREE STOOGES (an unlikely pair, I admit). I interviewed him again in August, 2011, relative to my writing the notes for La-La Land Records’ release of his soundtrack to USED CARS (currently sold out). The former interview has been archived here. His remarks on scoring both of these films are both interesting and entertaining – and, for me, very memorable. 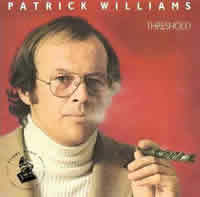 For more information on Patrick Williams, his career, and samples & videos of his music, see his web site http://patrickwilliamsmusic.com/.